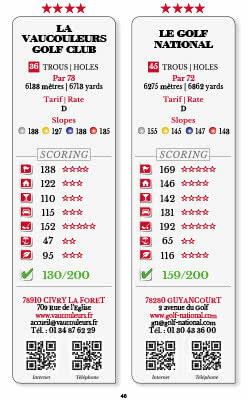 Helping you find the right golf course. 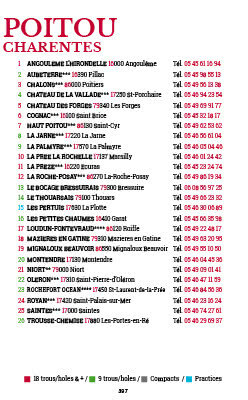 424 pages of a telephone directory and 725 golf courses in France with their maps and their QR Codes, region by region. 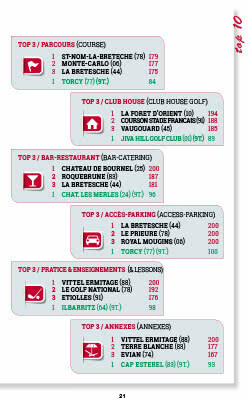 The only guide showing from 1 to 5 stars all Services & facilities golf courses 18 and 9-hole. Studied chapters: courses, clubhouse, restaurant, annexes, education, eco-responsibility, access-parking. 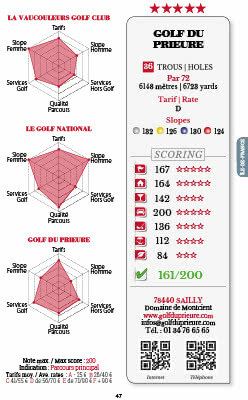 The golf club card allows you to see the ratings obtained by the golf courses. 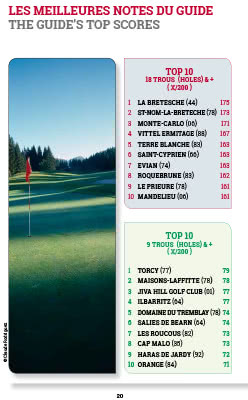 The Golf Stars guide book brings you the ranking of the best golf courses in France by categories. This allows you to make your choice at a glance. 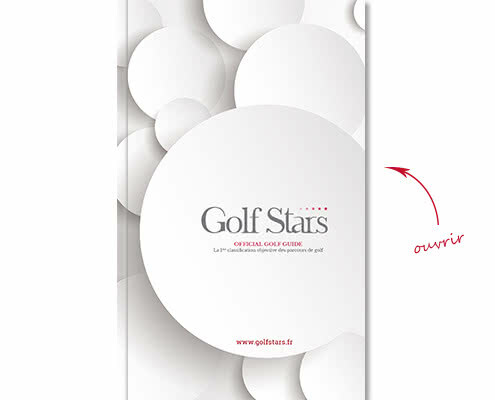 Golf Stars is joined by international partners who trust us and are aware of the interest to have a rating system for golf courses. This will help visitors choose their future golfing destinations. 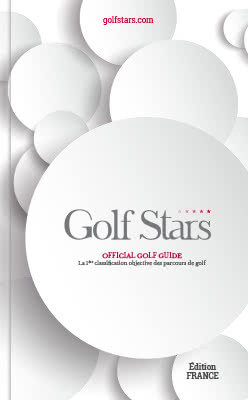 Always with you, the Golf Stars Guide will be useful whenever you decide to travel to France. 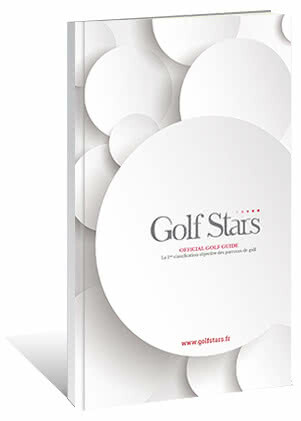 A Directory on 424 pages, it will give you the star ratings of golf courses in France in a comprehensive manner, but also category by category in order to choose according to your wishes and desires. 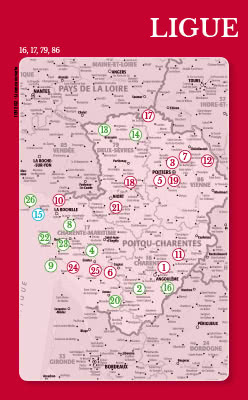 You will also find the Top 5 golf courses sorted by regions, the contact information and maps of all golf courses and practices in France, 2 QRCodes to call golf courses and discover the club on the web site. A neat design and easy to read, its small format 21 X 13 cm will fit easily in your car, on your desktop or in your library.